The February 2018 edition of The Brass Herald is now published and what a year opening issue we have for you. It really is what it claims to be – The Magazine for The Brass Musician. Action packed with major interviews and articles, views, news and analysis from across the entire range of brass. 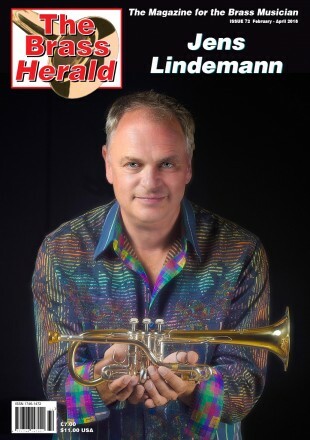 The front cover artist for the opening edition in 2018 is the celebrated trumpet virtuoso and musician, Jens Lindemann. Within this issue the following world class artists, ensembles and writers are featured.